Gs Drive atomizer is compatible with the new Eleaf GS Air M (coils). Although the atomizer is small, its features are many, its design and operating systems will cover any vapers need. The new Mesh coil is heated evenly and much faster than the traditional wire and due to its large surface, it delivers pure taste and great vape production. Sliding Liquid Replenishing System and Child Proof Safety System. 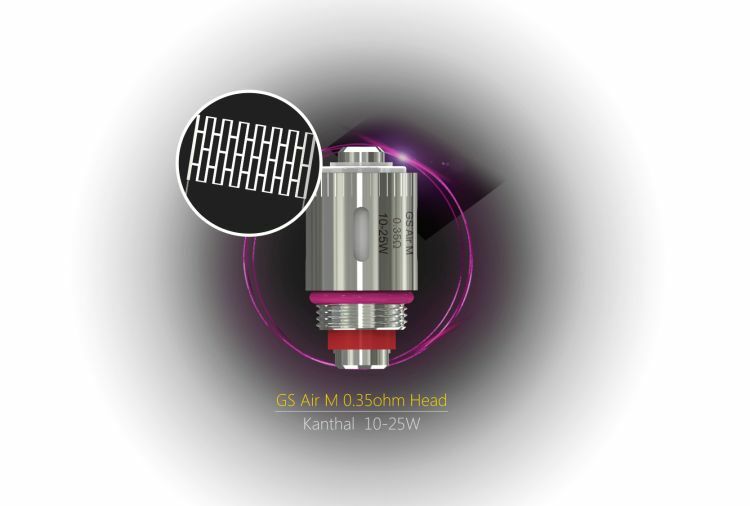 GS Drive will give you a stunning experience with pure taste and great vape production using the new GS Air M (MESH) coil. Gs Drive is compliant with the TPD regulations with 2ml tank capacity.